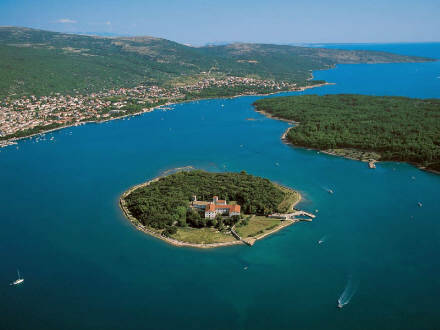 A visit to the city of Krk and a tour of the historical and cultural sights. A visit to the cliff-top town of Omisalj, located on the cliff 60 metres from the sea. A visit to Vrbnik, a small island town, and a tasting of homemade cheese and wine in the ambiance of a famous Vrbnik tavern. A visit to one of the most beautiful national parks in Croatia: 16 large and small lakes interconnected by waterfalls. We will stroll down the four or five kilometers long trail running along the lakes and falls, including the deepest lake, Kozjak, which we will cross by boat. A ride in a panoramic train is available afterwards. Rijeka, the biggest port city in Croatia, offers numerous interesting landmarks to see, such as the marketplace and the old town centre. 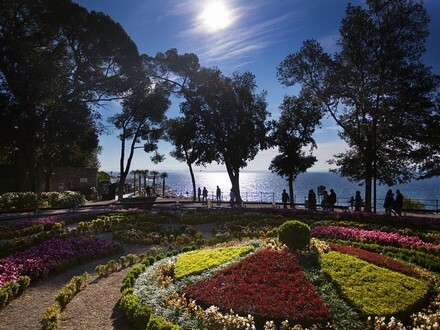 Take a stroll around Opatija, an imperial bathing resort that has every right too be called the pearl of the Adriatic. Follow the imperial tracks of Franz Joseph through the botanical garden and then take a break with some coffee and cake.